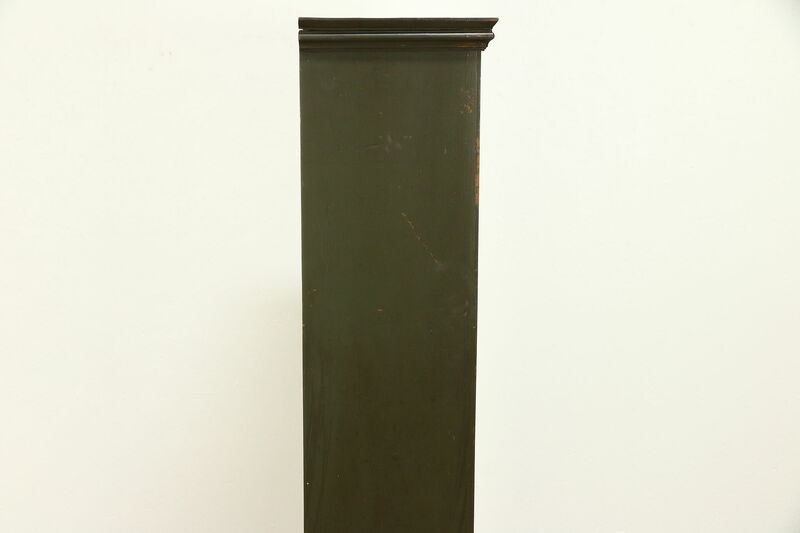 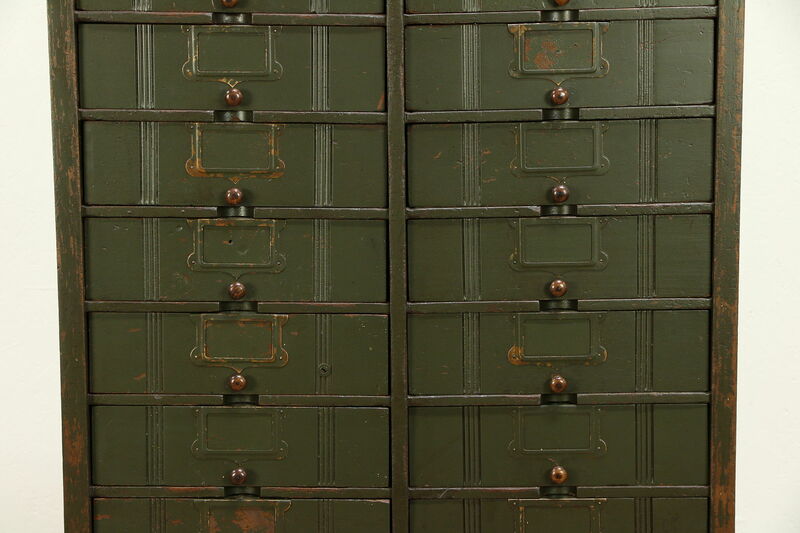 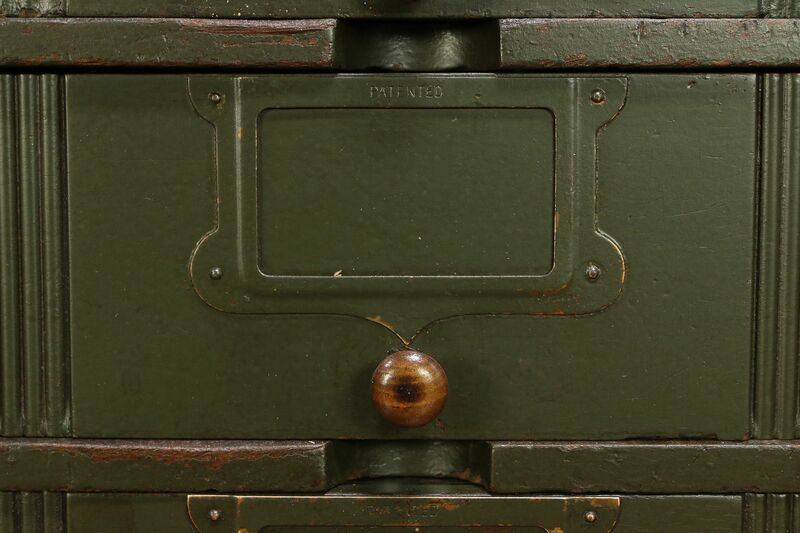 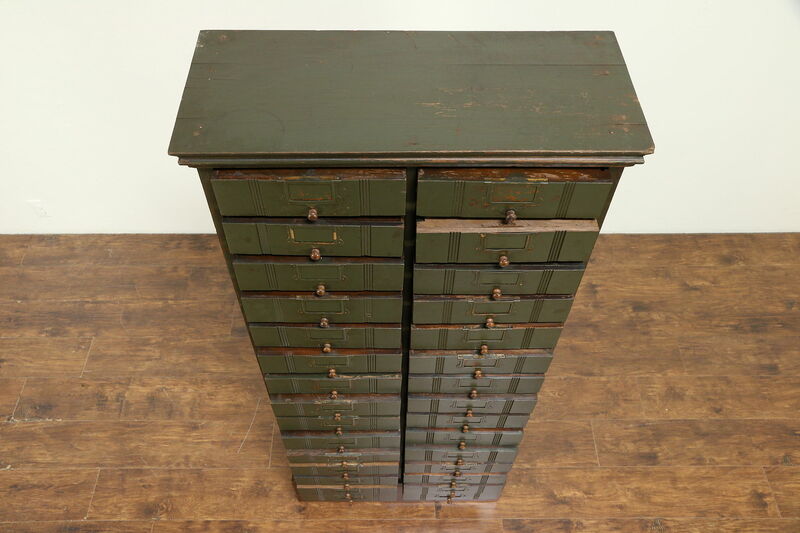 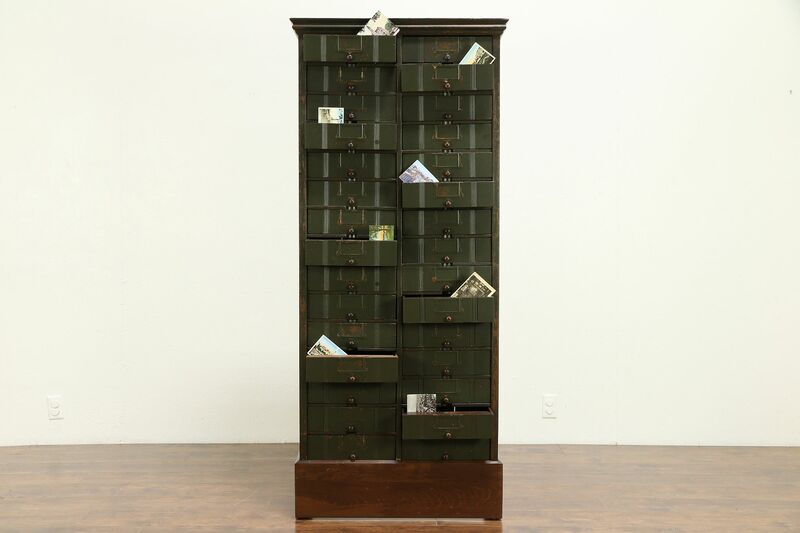 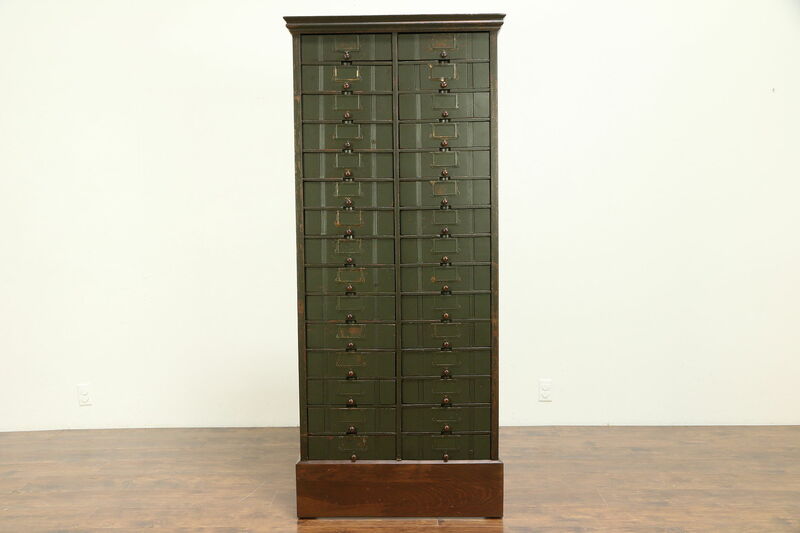 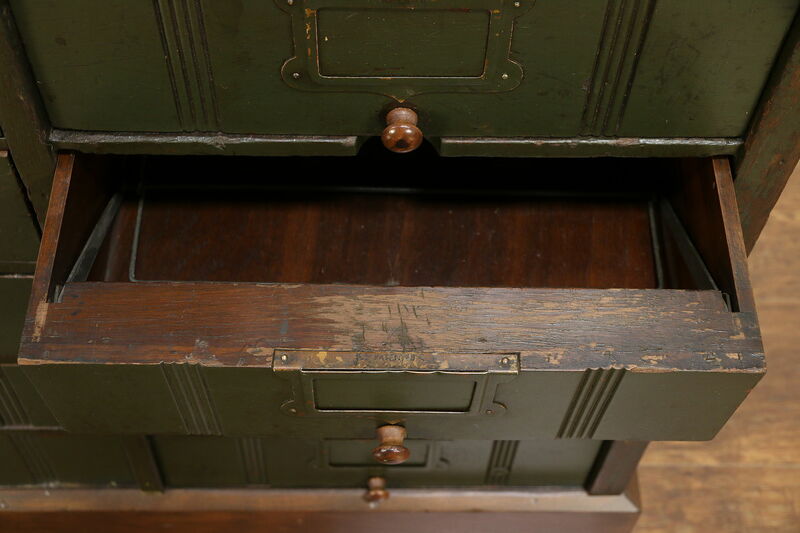 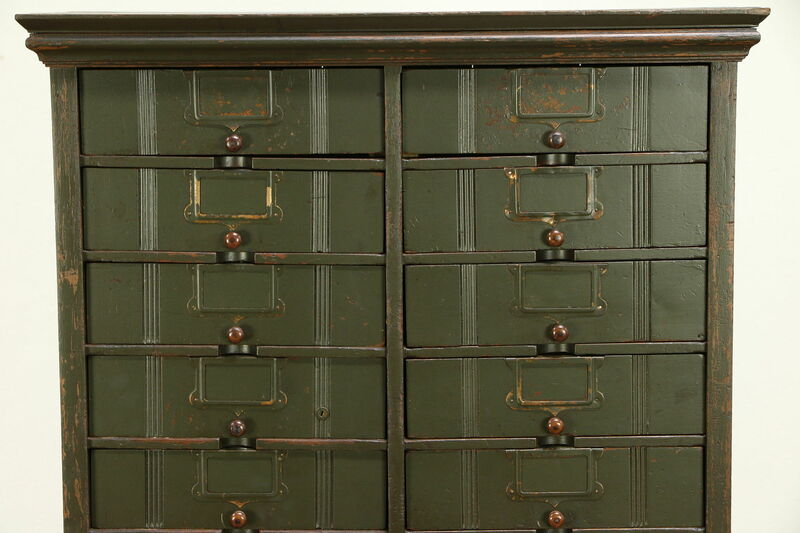 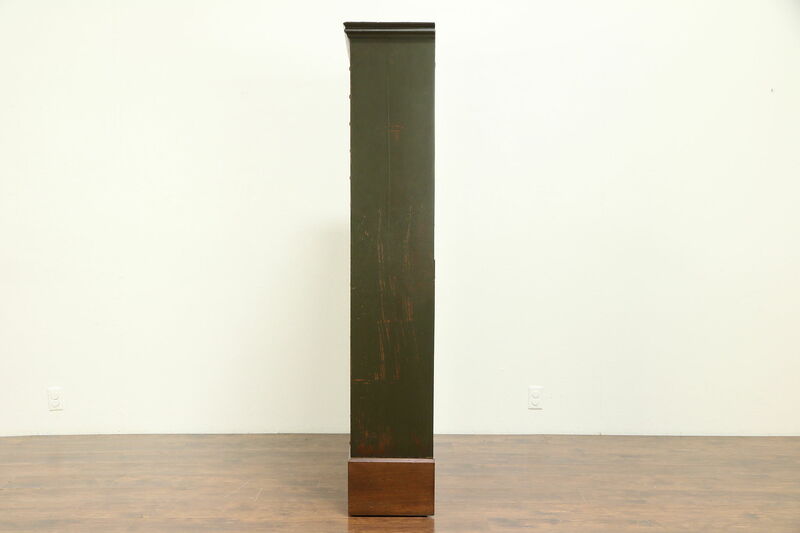 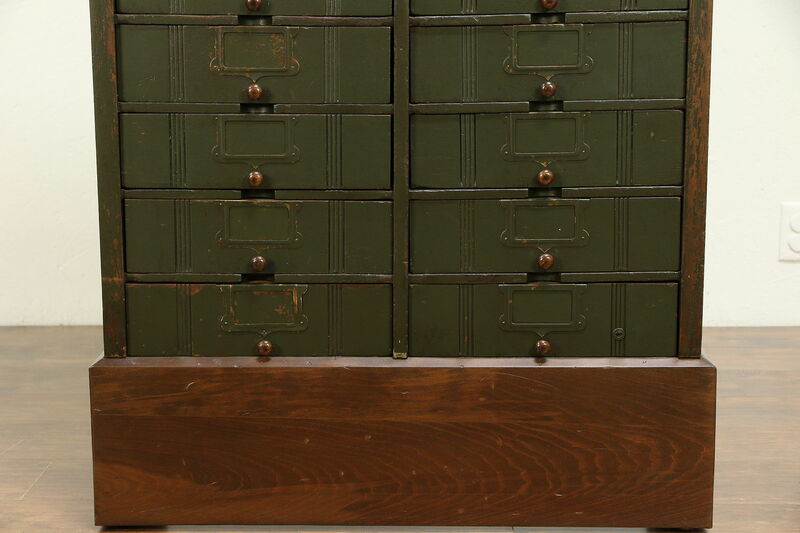 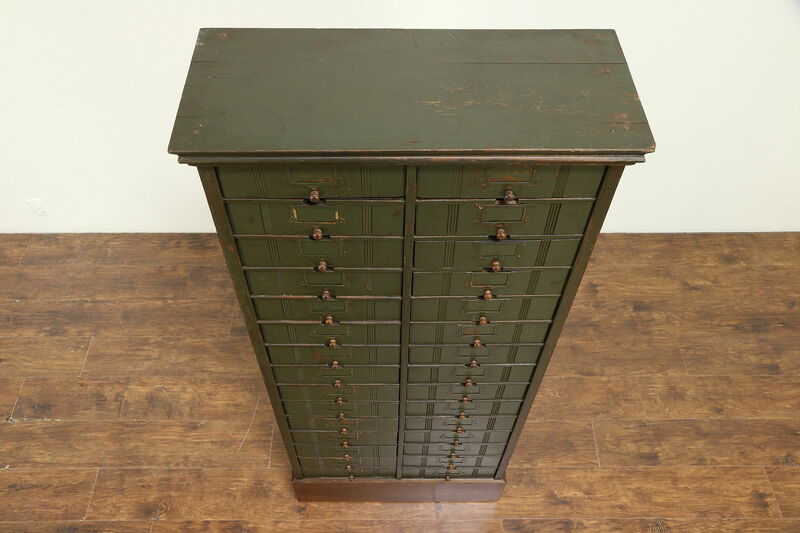 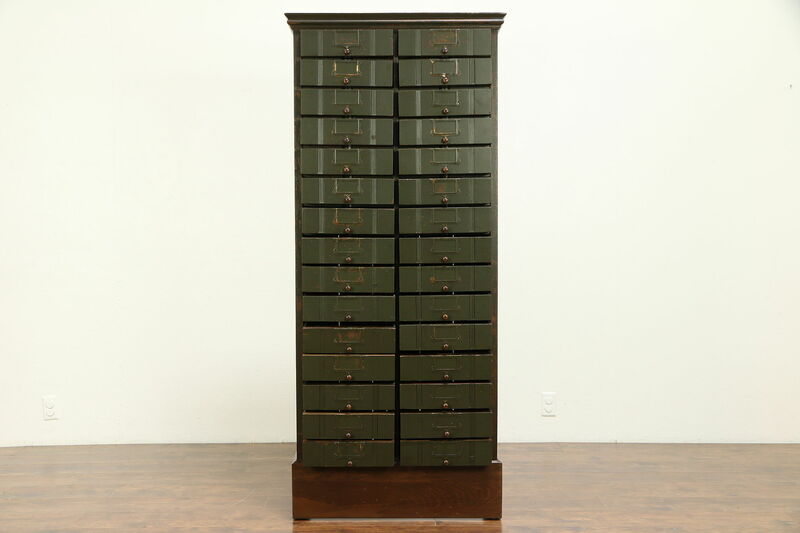 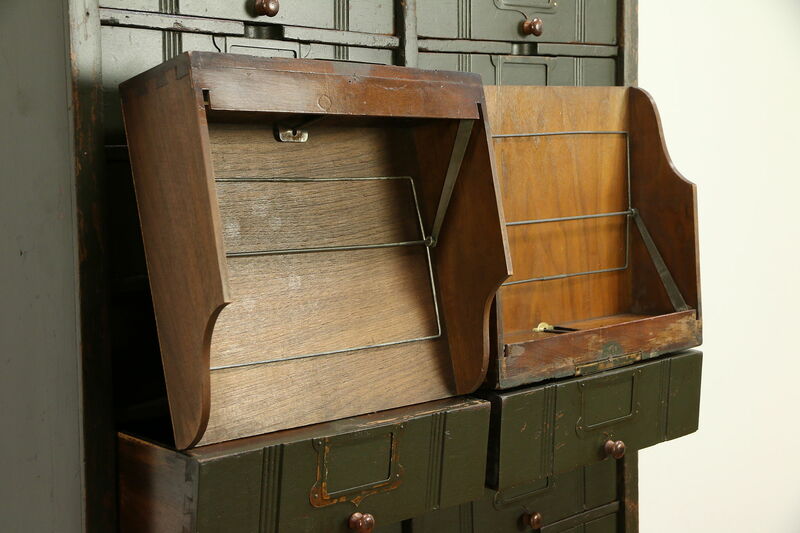 This 30 drawer file cabinet is solid walnut from about 1890, and has well worn old industrial green paint. 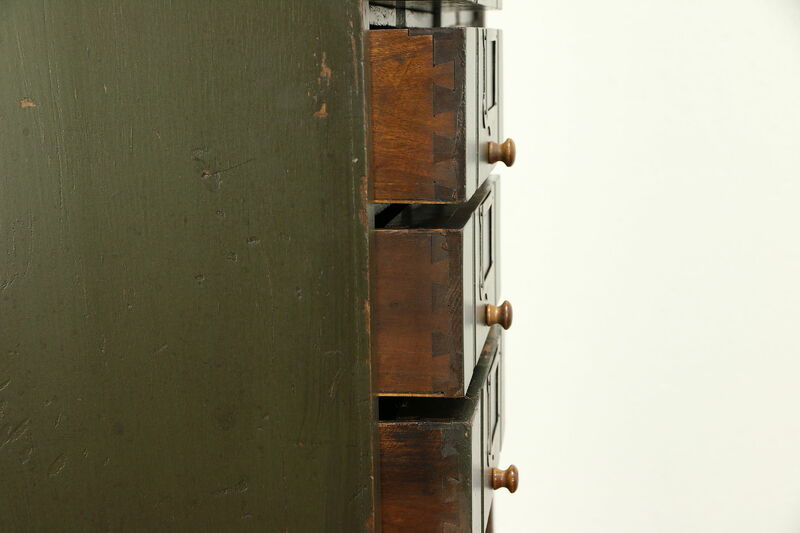 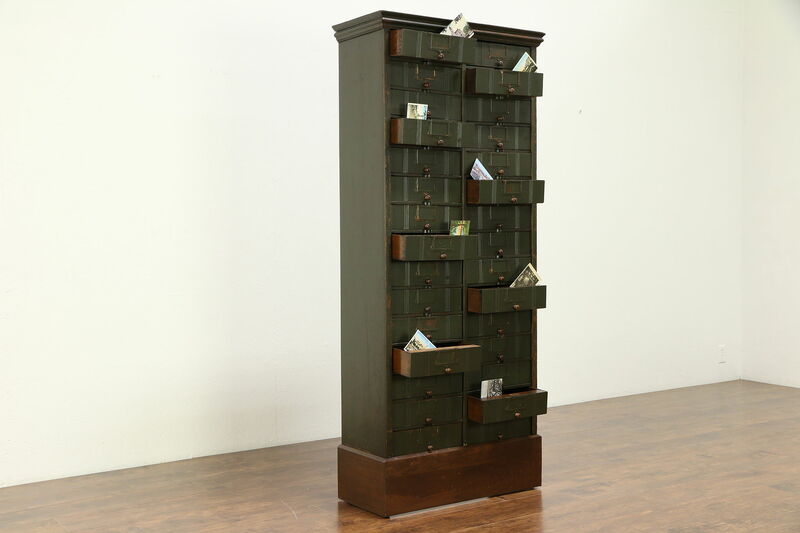 Drawers have open backs and spring clips to hold papers up to 10" x 12." 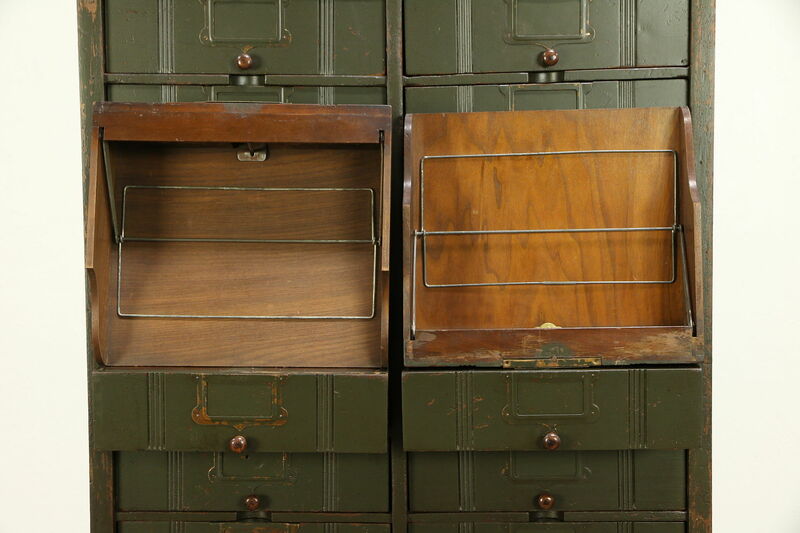 Label holders are original. 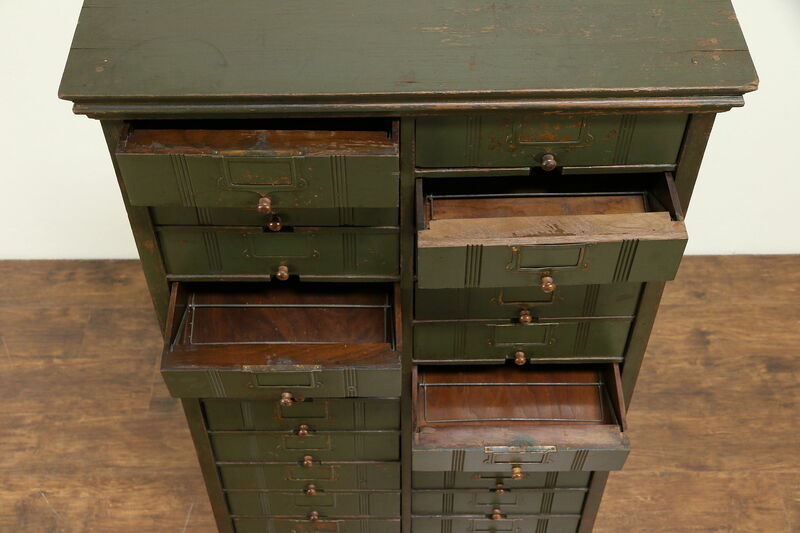 The rebuilt base is pine on this American made antique office furniture. 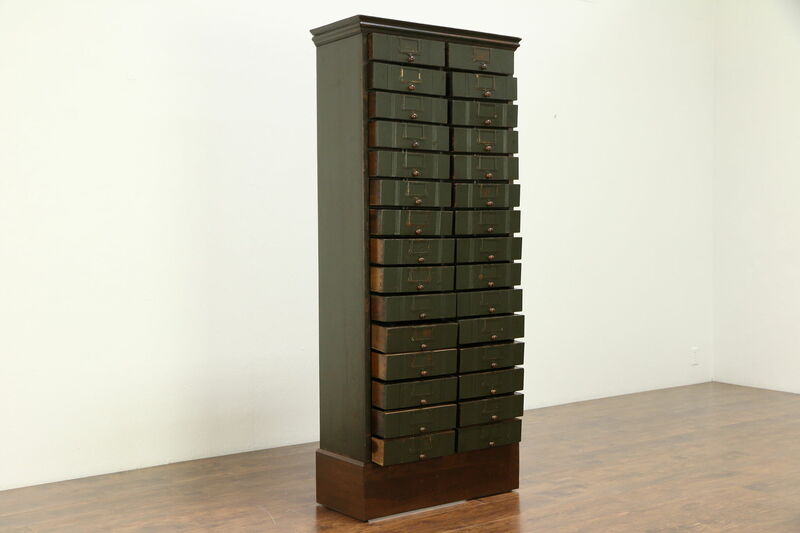 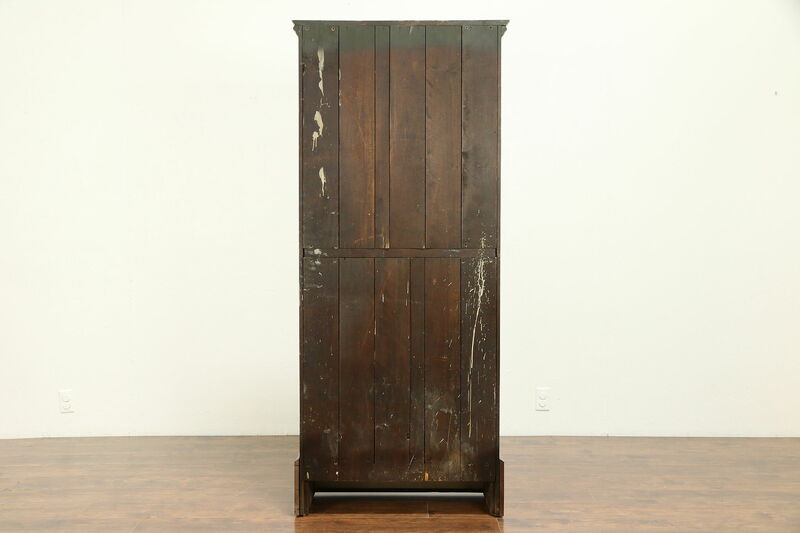 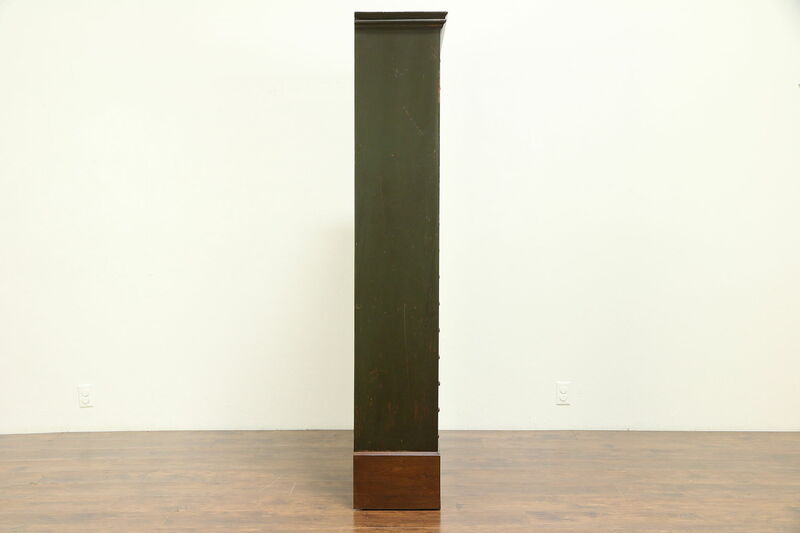 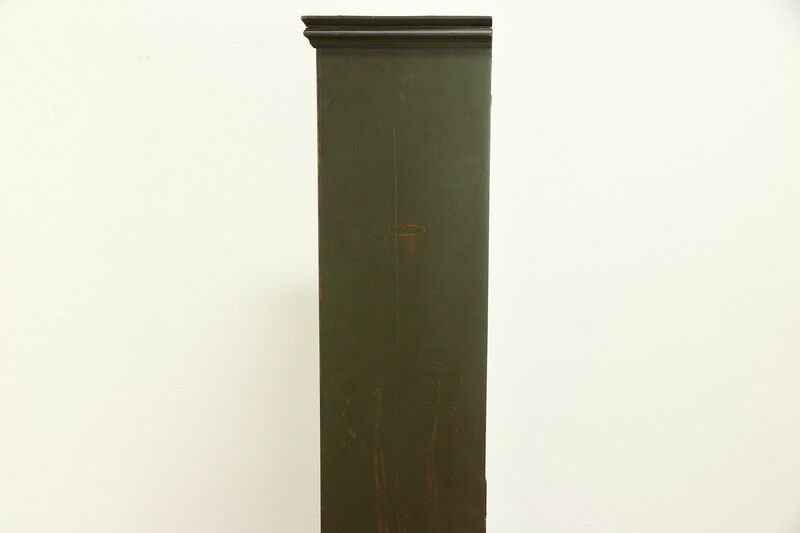 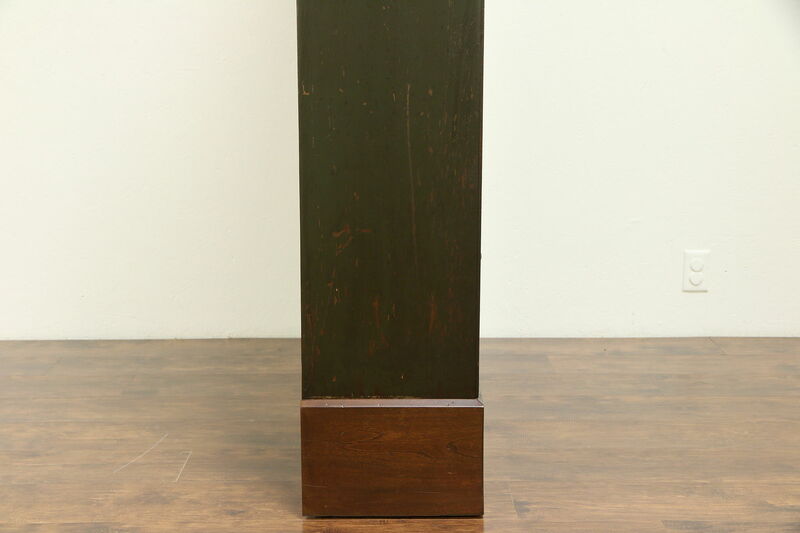 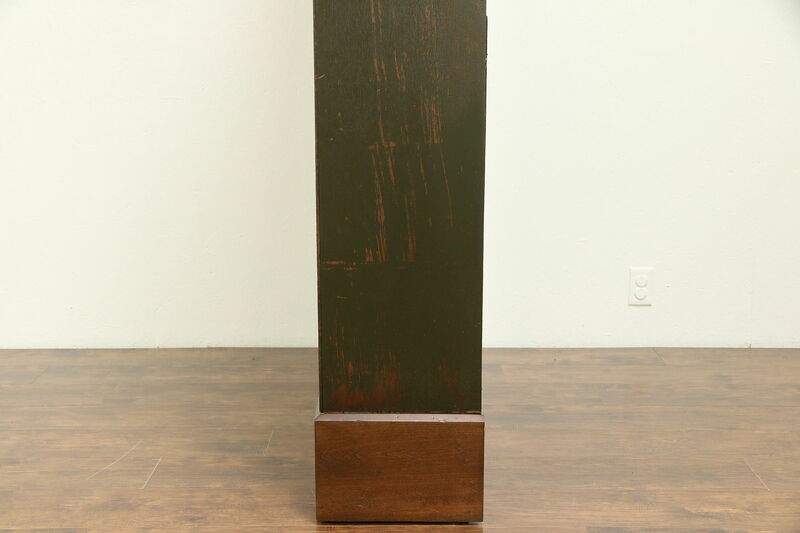 Size is 31" wide, 13" deep and 71" tall.